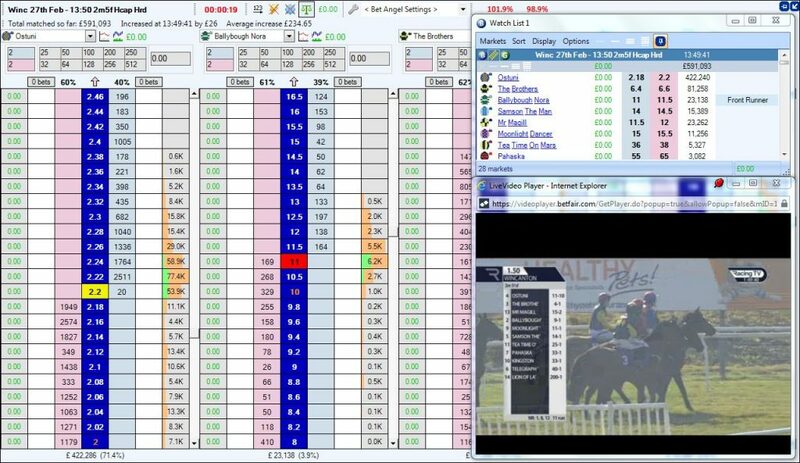 One of the most common in-running Betfair trading strategies is to look for a front running horse with a view to doing a back 2 lay (B2L). You back just before the start of the race and trade out as its price shortens inplay, hopefully for a few quick and easy tick’s profit. 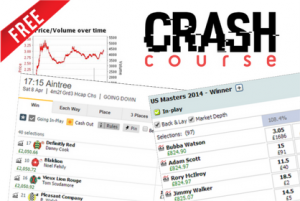 Dobbing is also a popular Betfair trading strategy amongst Betfair traders. Dobbing is looking to lock in a profit by doubling your money if you win and is a selection based process. Both these trading strategies are selection based, you need to find something that is going to shorten to profit and often. Your strike rate will be key with any of these strategies. When a race is inrunning it’s important to note that horses are pack animals, some like to lead and some like to follow. In horse racing, a horse that isn’t naturally allowed to run and freely at the front is ‘held up’ by the jockey. Get to know which ones have certain running styles and you can profit from that information. Horses that are not front runners are called ‘held up horses’ or ‘hold up horses’. Horse racing markets have long known about racing styles and for a long time betting markets have displayed racecards with notes about how the horse previously ran. Sports betting strategies would often involve looking at these notes to see how the race could be won. But everything changed with the advent of betting exchanges where you could lock-in guarenteed profits during the race if your closing price was matched. 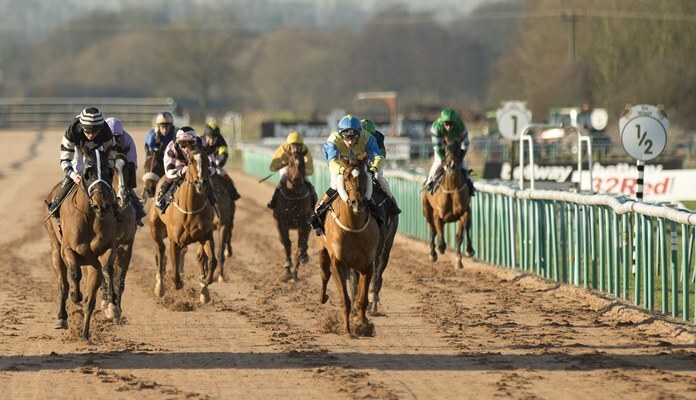 There’s is now no shortage of sites and tipsters you can use to quickly source and find a daily shortlist of front runners but what do you do when you have them? You can write them down on a piece of paper on your trading desk and hope you don’t forget one, put them into a spreadsheet and leave in the corner of one of your screens – assuming, of course, you have multiple screens with space to spare. Something we get asked about on a regular basis in support is if Bet Angel can ‘remember’ selection and what we can say is Bet Angel users certainly don’t have those problems listed above. Using Betfair trading software like Bet Angel, you can select all your chosen front runners at the start of each day then have Bet Angel alert you or trade when one is about to run, a sort of ‘set it and forget it’ leaving you free to get on with your other trading or betting activity – without fear of missing out! Another advantage of using sports trading software like Bet Angel is even if you don’t have that market open or have perhaps been side tracked, even on a different sport, you will still be alerted the race is about to start and which horse was on your daily front runner short list. In the following image (compressed for purposed of this blog) I have my ladder screen open as usual along with my live video when my watch list popped up displaying a front runner alert for that race, and because it was a jump’s race I had the added advantage of seeing how all the runners were lining up before deciding whether to place my back 2 lay bet. How does Bet Angel do this? It’s something that is very easy to set up and only takes a few clicks and certainly more reliable and quicker than just writing them down. At the start of each day you just need to add that day’s races into Guardian (takes 4-5 clicks) then using the picklist in the Automation Nominated Selection 1 & 2 Columns select up to 2 runners for each race, if your shortlist doesn’t have a potential Front runner for a race then you can leave it empty. After you have chosen all your front runners click the ‘Watch’ tab ensure the ‘Sync Guardian’s list of Markets’ box is ticked, then click ‘Display the Selected Watchlist’, you can immediately minimize the watchlist to your windows taskbar and it will open automatically as soon as a front runner alert goes off. Finally, you just need to apply a rules file that will trigger the alerts, which you can download from the following post on our Forum. Once downloaded and imported into Guardian via the ‘Automation’ tab click on ‘Apply rules to all markets’. Guardian can now be closed and you can get on with your days trading or betting. Now no matter what market your trading one minute before post time if a race contains a front runner you nominated earlier in Guardian the watchlist will automatically maximize and auto-scroll to the nominated runner for that race and an alert will begin flashing next to it for 30 secs. Remember there’s no reason why this should only be used for Front Runner Alerts, or why it has to trigger 60 seconds before the off, everything is fully customizable including the ‘Front Runner’ text you see in the alert so you can set it up and use it for whatever you want or even a combination of different things. If your not planning on being at your computer other than to place your bets/trades on your daily short list of front runners then why not fully automate it and let Bet Angel place the bets for you, the process required by you is exactly the same as above in regards to selecting your front runners in the Guardian nominated columns, the only difference is you would use a different rules file to actually place bets rather than alert you. This can also place your closing bets for you at whatever number of ticks or percentage profit you want to aim for, and to save you doing any of the work yourself there are also ready-made fully automated rules files set up to do this for you too which you can download from our forum using the links below. This first rules file is set up to place the back bet 10 seconds before the off then green up in-running at either 15 or 30 ticks profit. Or if you’re into DOBing then the following rules file will back at post time and place an offset bet at 50% of the back price and keep it in-running, if its then matched you will have doubled your stake. Whatever your preference when it comes to trading on front runners Bet Angel gives you all the tools and options, needed to do it quickly, easily and with as little fuss as possible. 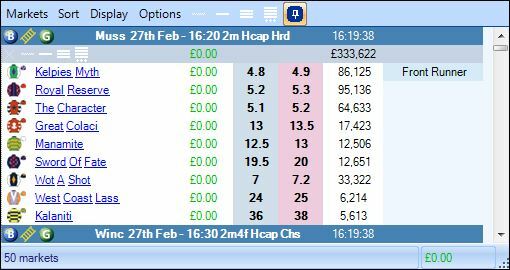 I have been trading full-time on Betfair since 2012 and still enjoy doing so every bit as much as I did on my first day. A key area for me has always been automation which I have witnessed become increasingly popular in the last few years. If there is one thing I enjoy as much as trading it is helping others who are just getting starting. I am also motivated by the analytical side of trading which has come to play a big part in my trading in recent years.